Shmurah Matzah: (lit. “matzah that has been watched”); matzah prepared under exacting supervision from the time the wheat is harvested through the end of the baking to guard against the minutest moisture. 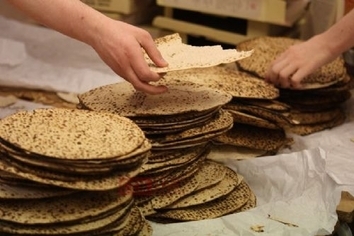 It is a mitzvah that the Passover matzot be made specifically for the purpose of fulfilling the obligation to eat matzot on Passover, as the verse (Exodus, 12:17) states: You shall guard the matzot. The matzahmust be guarded to ensure that it does not become chametz; matzah which was not guarded may not be used on Passover.